Which camp do you think is bigger? The answer might surprise you. In 2011 (the latest available — I know, the IRS isn’t too fast when it comes to updating their stats), a full 78 percent of all individual tax returns received a refund. Clearly the “yes camp” is the greater. The average refund? $2, 872. The “no camp” seems to make up for their lack of number with venom. There’s no shortage of self-proclaimed experts who wag their self-righteous fingers at the nearly 80 percent of individual taxpayers who got refunds. When you comb the Internet for opinions, there are far more “No camp” posts and articles, many of which are surprisingly venomous and insulting. The word stupid (and worse) appears more often than you would expect in an otherwise rational kind of debate. You forego precious interest on your money by forking it over before it’s necessary. In addition, inflation kills you — you give Uncle Sam precious money, but it’s worth much less when you get the refund. You never know when an emergency will strike. When it does, you can’t get that overpayment back from Uncle Sam. It’s much better to have the money sitting in an emergency fund which you can replenish before April 15. It shows you’re too lazy or incompetent to do proper tax planning (no warm-and-fuzzy crowd, this). They add more reasons, which amount to simply rehashing the list. Funny, but true. This post lists Reason #4 and Reason #5 as the same thing, only with different (shrill) verbiage to justify it. The amount of interest you can earn in a savings account is trivial. Assuming the average refund of $2, 872 is earned evenly throughout the year, how much would that cost you in terms of lost interest? 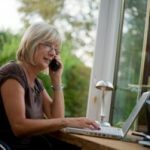 We reviewed online banks a while ago and found Ally Bank to have the highest online (i.e., national) interest rates on savings accounts, which at the time of writing was 0.87 percent per year. If that rate remained the same throughout the year, the total loss of interest would be … $12.49! The guilt-ladling experts proclaim that a folly so great you’ll never recover. 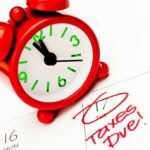 The IRS will slap you with penalties way, way higher than $12.49 if you sail too close to the wind and end up needing to pay in more than 10 percent of your tax liability. Again, going to the averages, the average tax bill for 2011 was $9, 377. If, trying to save $12 in interest, you underestimate your tax by even a dollar, the IRS will slap you with a $938 fine. A dollar a month is cheap insurance against a nasty surprise. The tax code is complicated, and only gets more complicated each year. For example, next year you need to add extensive paperwork simply to avoid the new health care fine/tax. That’s just the latest in a long string of added burdens put on ordinary taxpayers. Therefore, it has become next to impossible for an ordinary person to estimate their tax liability accurately a year in advance. If you want to do the kind of tax planning those experts insist you should, you are going to have to hire an expert. Can you do that for less than $12.49? Human nature: Getting a $1, 000 refund beats having to pay $1, 000 after Christmas shopping season any day. Why be a sourpuss for a buck a month? More human nature: We tend to prefer lump sums to regular payments. (More than 90 percent of lottery winners pick the lump sum.) Getting a single refund check for $2, 400 just feels better on many levels than $200 per month. And, given the small cost of a buck a month, why not? Everyone loves a mystery. 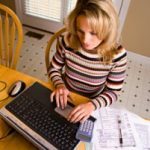 The tax code has become so complicated, and our lives unpredictable enough, that planning your taxes accurately has become next to impossible. So, you suspect you’re getting a refund, but you don’t know how big. Now you have the anticipation of waiting to see how big. For the same $12, you have another cheap thrill. If you know you have a refund coming but you don’t know how big, you have a terrific incentive to file early and beat the rush. Admit it: It feels really good when you get something done ahead of time. So now you have a triple shot of joy: you’re done early, you know you’re getting money (even if it’s your own) AND you’ve got the cheap thrill of guessing how much. All for just a buck a month. Can you tell? I’m firmly in the “yes” camp. Those who know me know it’s not often I side with the majority — there are too many times people simply follow the loudest voice out there, right or not. In this case, though, the logic is so overwhelmingly in favor of shooting for a refund, it’s easy to see why most people do it. Are you still in the same camp? Which do you think is better: receiving a $2, 000 refund or having to pay Uncle Sam $2, 000 right after the holiday shopping season? Especially if the price tag for that simple joy is a buck a month, while the penalty for guessing wrong can approach a thousand dollars … on top of what you have to pay in taxes alone? Let the hysterical guilt-mongers shrill all they want. Shooting for a refund is a no-brainer in my book. Ordinary people are sometimes smarter than their critics. This would be one of those times. I have to chime in here to counter this statement. I am in the “yes” camp for the reasons I previously stated. I also have zero debt, nearly a full year’s salary in an emergency fund, and a recent credit score of 830. It comes down to a regimented financial lifestyle the yes people probably have debts as well. Mental exercise for you: if refunds are so wonderful, why wait until next April to get yours? Also, avoiding an underpayment penalty is as easy as paying 25% of last year’s tax quarterly (27.5% if AGI was over $150k). The interest rate also assumes you have no debt you could be paying off. Those rates are much higher. I have been in the “No” camp as long as I have understood the concept. The planning isn’t the difficult and you don’t have to pay the penalty if you owe the IRS a dollar. I have noticed that with changing tax status like divorce, etc. there may be a need to amend a prior year’s taxes. If the year you want to amend is a year you paid at filing you have two years to amend. If you got a refund (any amount) you get three years to amend. 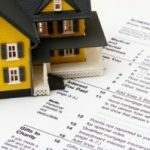 It may be wise when tax rules are changing or you see changes in your status coming to take this into consideration when estimating tax payments or withholdings. Oh, and I do my “complicated tax planning” for the year in Notepad. In January, I list out estimated income, estimated major deductions, glance at the tax tables, and divide by my number of paychecks. Fill out a W-4 and I’m done. Double-check around October to make sure I’m on track, but I’ve not needed to do an end-of-year W-4 adjustment yet. You present a false dichotomy here — the choice isn’t between trying to have a $2k refund or owing $2k. It’s between trying to have a $2k refund or having a zero refund. The point is that in no other realm do you overpay a bill and then get excited to get your overpayment back — you figure out what you owe to the best of your ability and you pay it. You also exaggerate with the “If, trying to save $12 in interest, you underestimate your tax by even a dollar, the IRS will slap you with a $938 fine.” If you underestimate your tax by $999, you’re fine, because there’s a $1,000 safe harbor. There’s also a safe harbor at the amount of your previous year’s tax bill, even if that’s more than $1,000 less that you actually owed. I actually do shoot for a very small refund, just to provide us even more margin of error if I missed something. But this article is pretty much scare-mongering. I previously was in the “Yes” camp because I was young and didn’t bother with getting into the details of taxes too much. My taxes were simple and I got a refund check at the end. Now years later, my taxes still aren’t very difficult at all, and I’m still in the “Yes” camp but for slightly different reasons. When you consider things like the time value of money and how much your time is worth, it just isn’t worth it to me to spend a lot of time throughout the year on a gamble that I won’t get hit with massive fines by the IRS at the end. I used to argue with my wife about things like spending a few extra dollars a month on this or that insurance item. But what I’ve found over time is that I have far less stress over the items I’ve “insured” against (whether through formal insurance or the pseudo-insurance discussed in this article) and so I don’t worry about the unnecessary risks inherent in most of them. It all comes down to risk management. Finance teaches you about risk and reward, and you also learn that minimizing risk and stabilizing your returns is the way to go. So by “insuring” against various issues (e.g. having an emergency fund, taking steps to avoid punitive penalties, formal insurance for car/house, etc) I’ve found our life has become much less prone to the various bumps and bruises life throws at us. So count me in the “Yes” camp, for a very non-stupid reason. Interesting topic, and good food for thought. But you overstate the case for ‘Yes Camp’ ? and point #2 is simply wrong. Yes, there are penalties for underpaying your estimated taxes but claiming you’ll be slapped with a huge fine for underestimating by a mere dollar is incorrect. I err on getting a refund, but I definitely can see the argument for the other side. One point you don’t list as a Big Refund Con is that there’s a temptation to treat that money like it’s some kind of windfall instead of paying off debt or putting it into an emergency fund. I shoot for $0, I don’t want a large tax bill or a large refund.